Company’s coming! 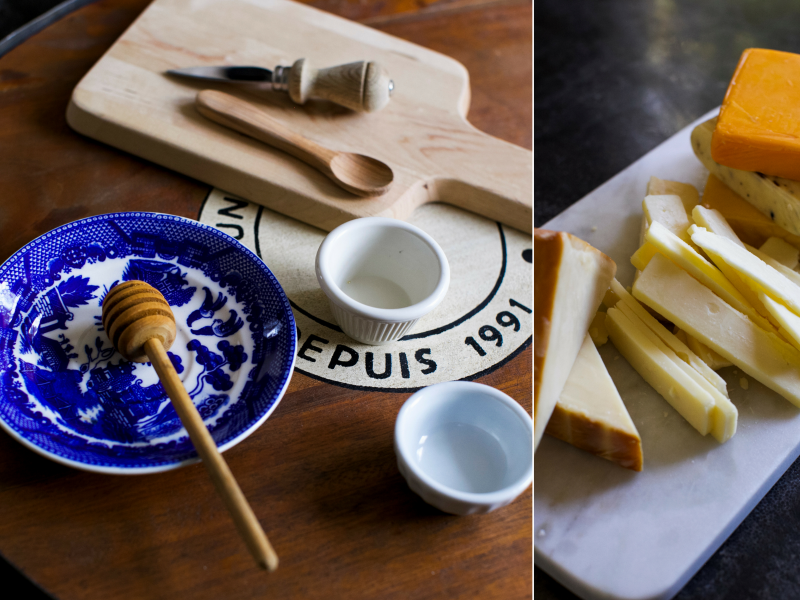 So, let’s create a cheeseboard they won’t forget. What I LOVE the most about cheeseboards is that they never disappoint your guests and it appears as if you’ve spent oodles of time fussing about placement and ingredients. 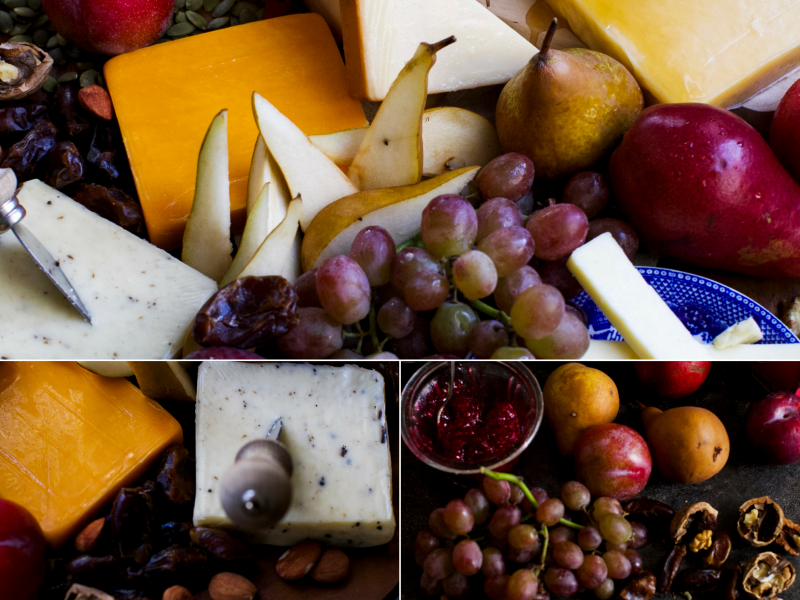 The cheeseboard I created is very easy to assemble and is visually stunning. A general of rule-of-thumb is to include one hard or one aged cheese, a soft cheese and a fresh or creamy cheese. Since this is a winter-inspired board, I decided to forgo using fresh cheese and instead added two hard cheeses and an aged white cheddar. Assemble food items on your large cutting board. You can also add a smaller board in the centre of the large board to add some extra height to your display. Start with the largest piece of cheese and place it off-centre of the board. Slice the Extra Old Cheddar and place on a patterned plate. Cut the block of Smoked Parmesan cheese diagonally – this makes the cheese look bigger, and shows off the beautiful smoked edges. Add the remaining cheese varieties, leaving a bit of space between each one. Now add the finishing touches. Position your condiment bowls beside two cheeses of your choice. 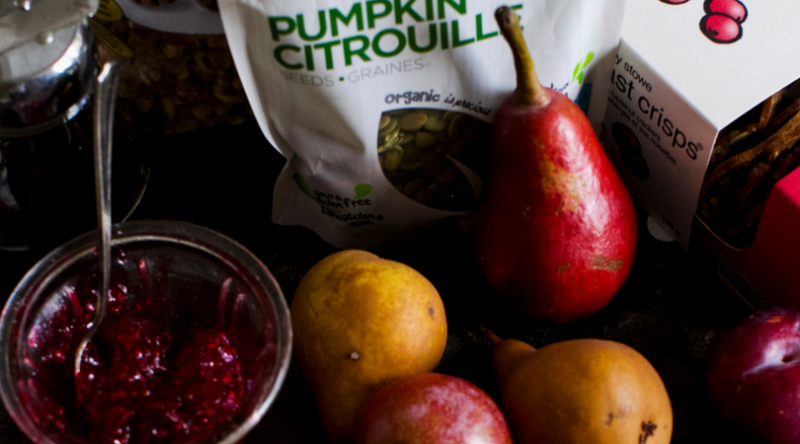 Then, fill gaps between cheeses with crackers, grapes, sliced pears, pumpkin seeds and walnuts. Add cheese knives and spoons for serving the condiments. Also feel free to add festive accessories. 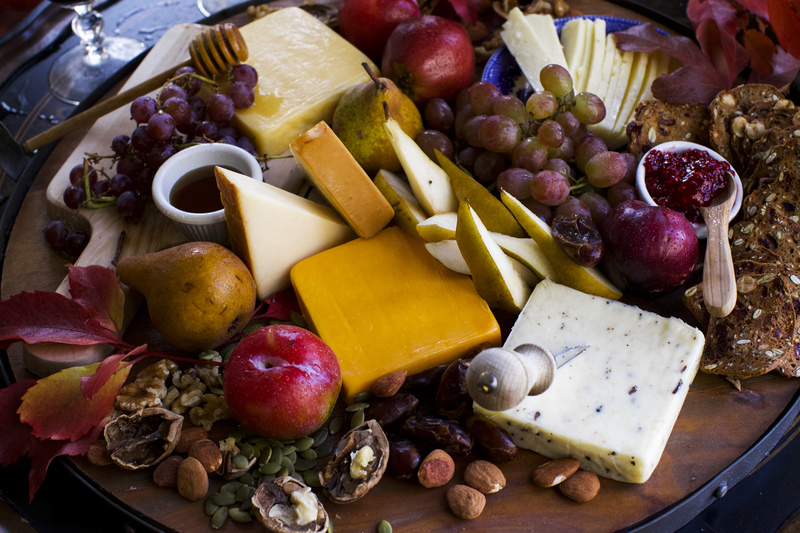 If you’re making your cheeseboard ahead of time, cover it with a moist paper towel and place it in the refrigerator. When you are ready to serve, take your cheese board out and let sit at room temperature for least 30 minutes prior to serving. Cheese that is too cold can feel dry to the tongue and the cold temperature can dull the flavour. The most important rule when creating a cheeseboard is to have fun with it! Do you have styling or entertaining tips? Tell us in the comments below. We love all your products and make an extra trip to stock up.